A sea of people filled Freedom Square in Juba, next to the mausoleum of the late John Garang, the rebel leader who led the South Sudanese during the civil war. 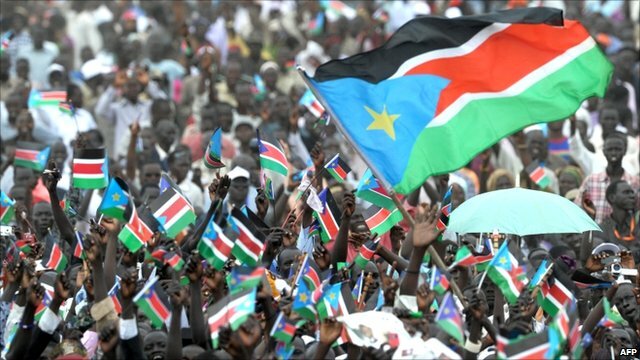 They waved flags and screamed in happiness as South Sudan officially became with world’s newest nation. The wild crowds surged forward, dancing for hours in the baking sun. Several people fainted in the heat but the mood was ecstatic. 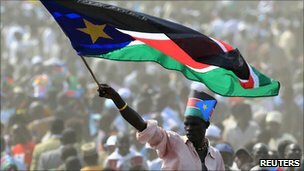 When the giant flag of South Sudan rose on the 30m flagpole, men cried, women ululated and thousands waved flags in a blur of colour. A host of world leaders spoke on the podium, but the real party was at the back of the site where thousands danced to traditional drum beats.